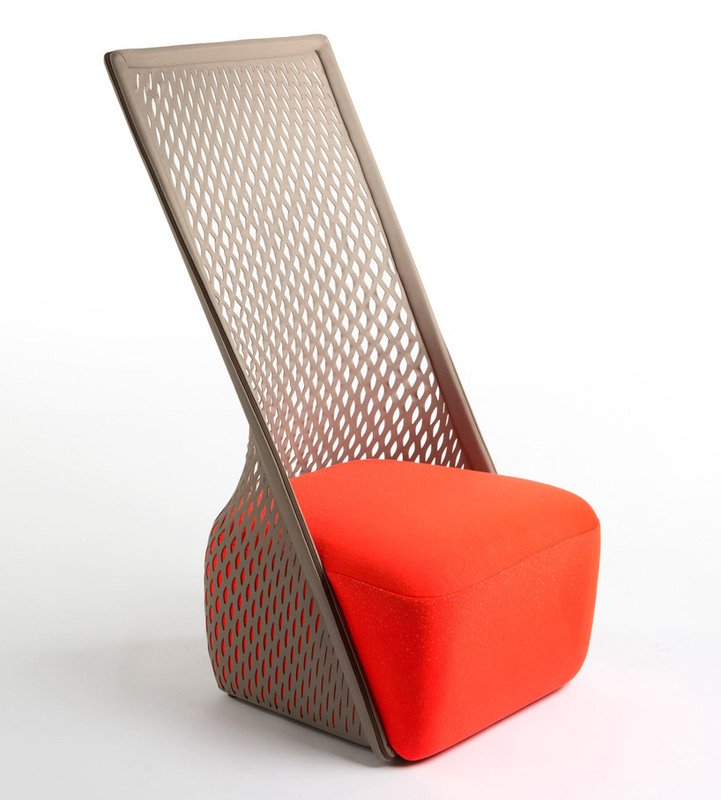 benjamin hubert is a london-based industrial designer and founder of layer, an agency focused on experience-driven design. 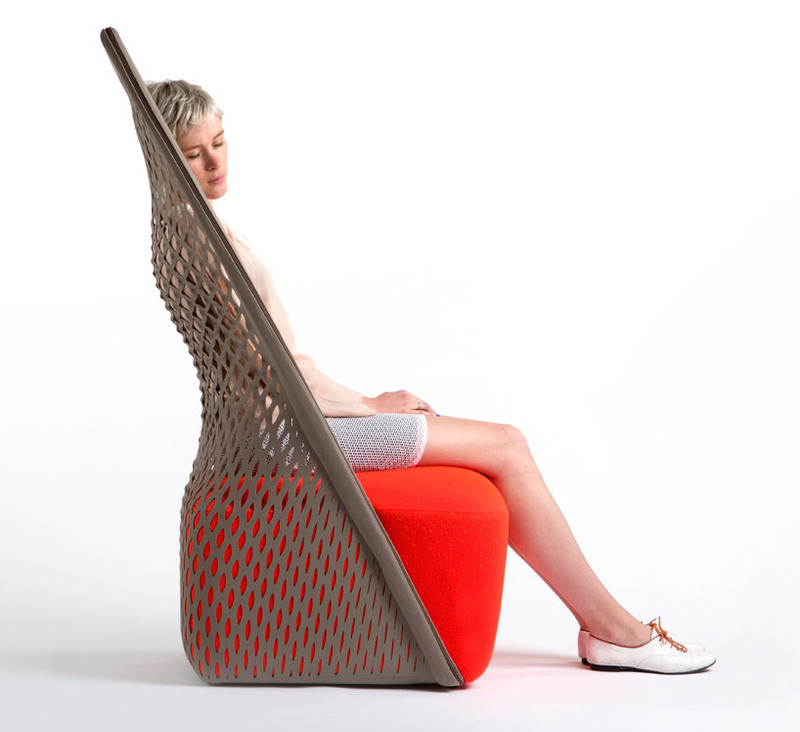 the ‘cradle’ lounge chair by london-based designer benjamin hubert combines a unique blend of two seating typologies – a net structured hammock and a conventional upholstered lounge chair. 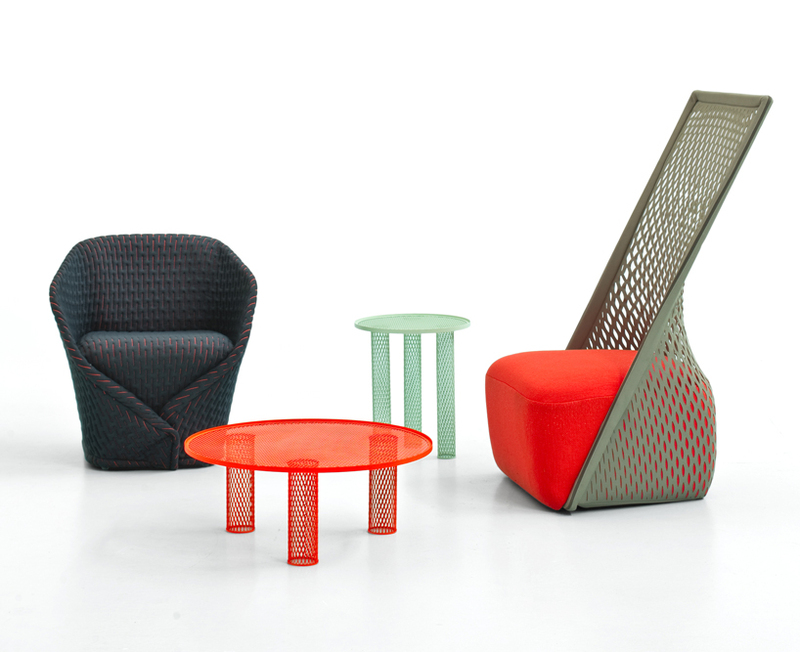 conceived for italian furniture company moroso, the visual aesthetic purposefully integrates architectural lines with a sharp rectilinear backrest that contrasts a softer seating area. 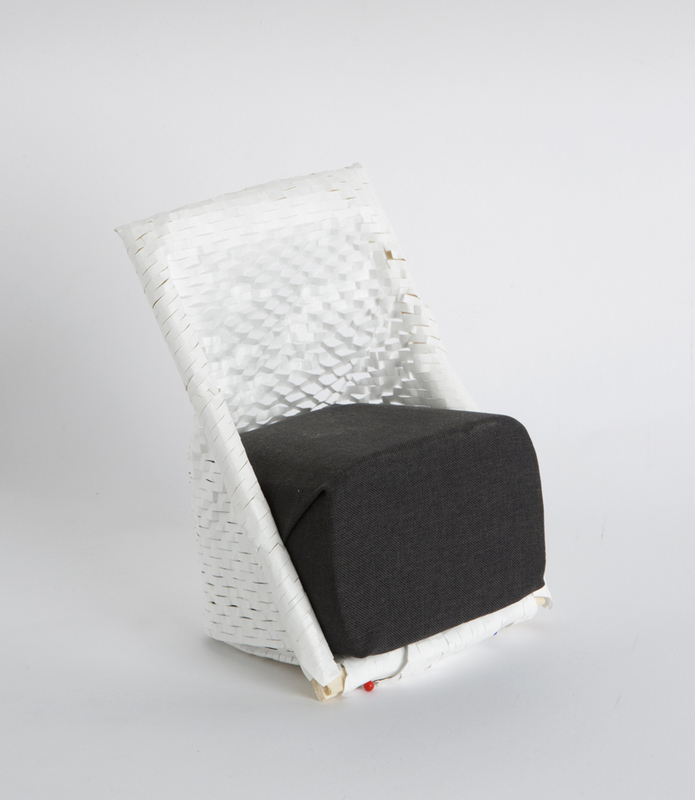 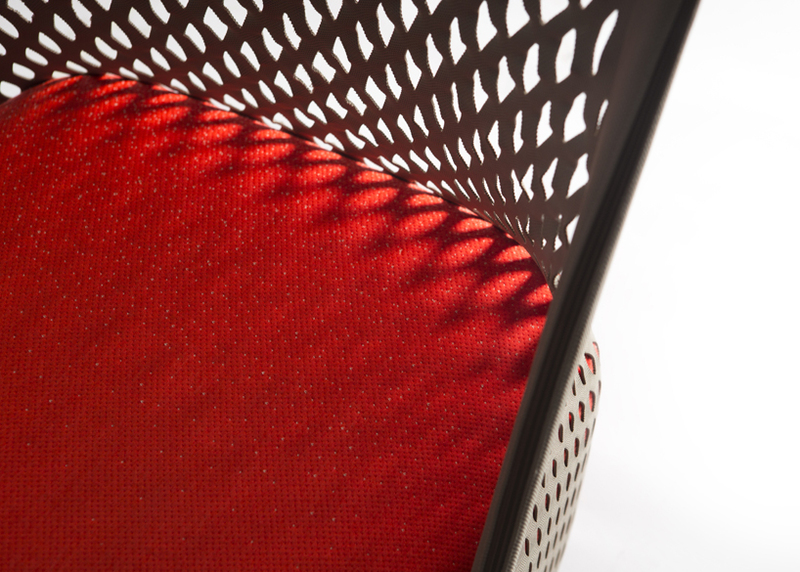 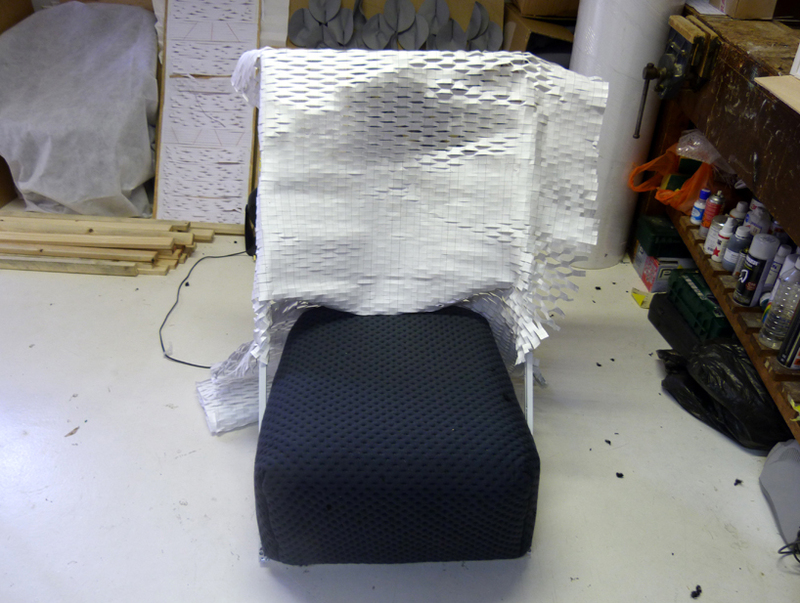 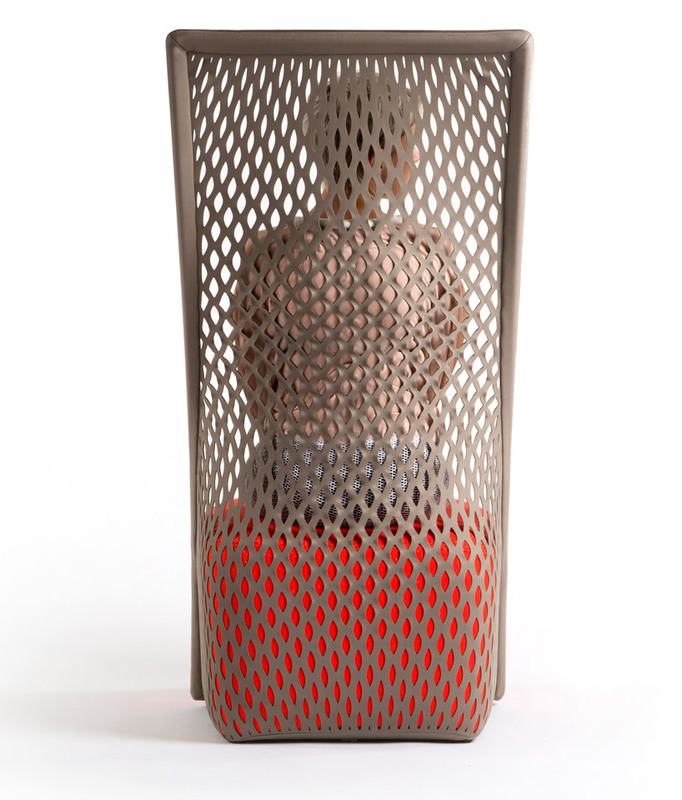 ‘cradle’ utilizes a custom-made CNC cut pattern that allows a non-elastic textile to stretch around a metal frame in a controlled three dimensional manner. 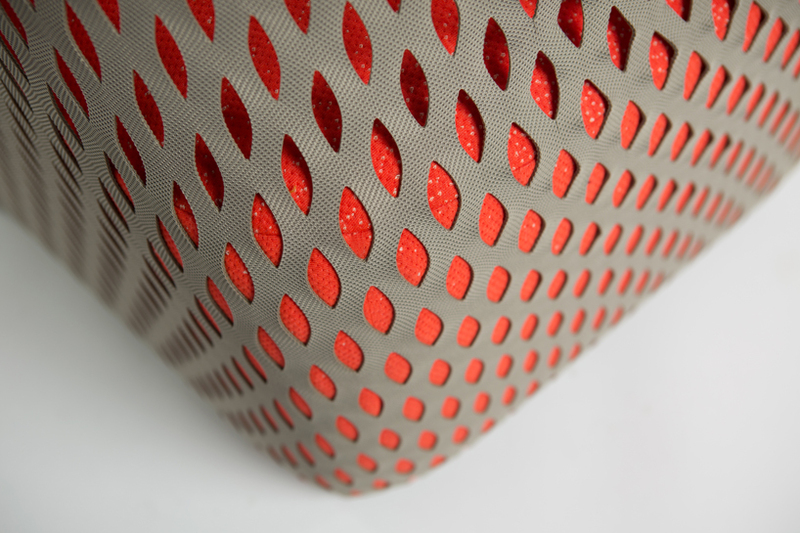 this allows for the correct tension to comfortably support the body – visually and physically reducing the product’s weight and cost. 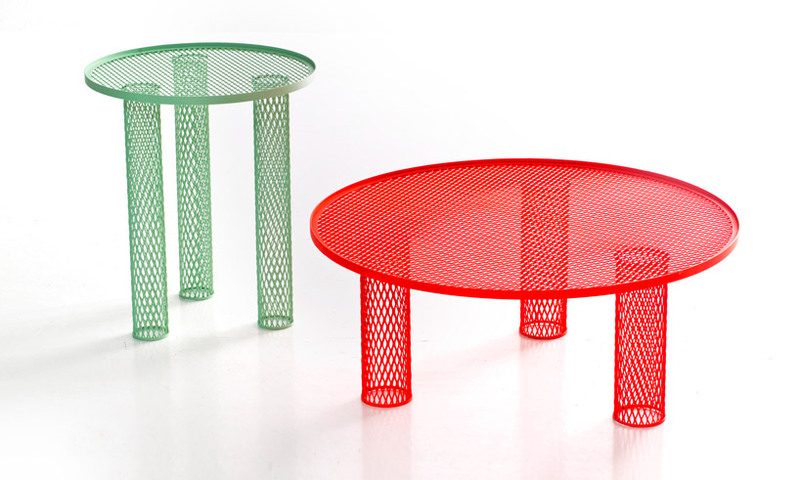 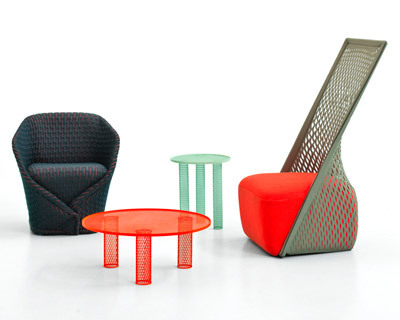 in addition, hubert launched a collection of small tables for moroso – which debuted at salone del mobile 2013. 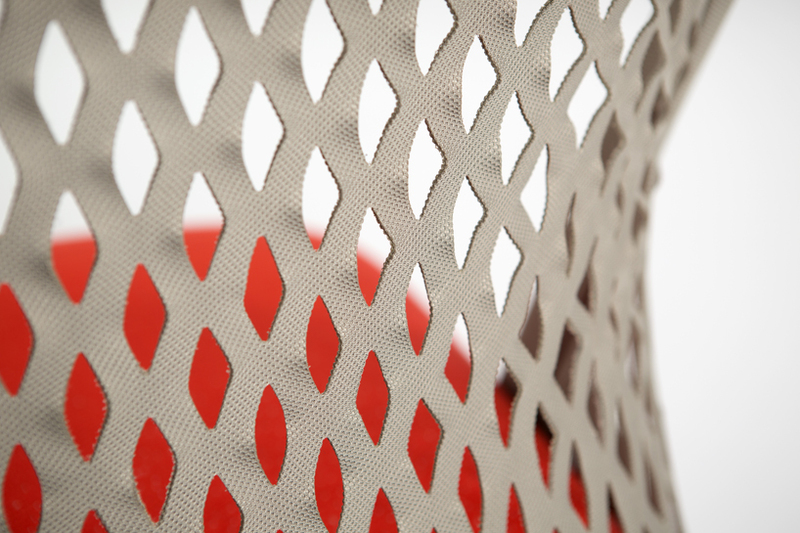 ‘net’ utilizes expanded steel, which is more commonly used in industrial equipment and building construction. 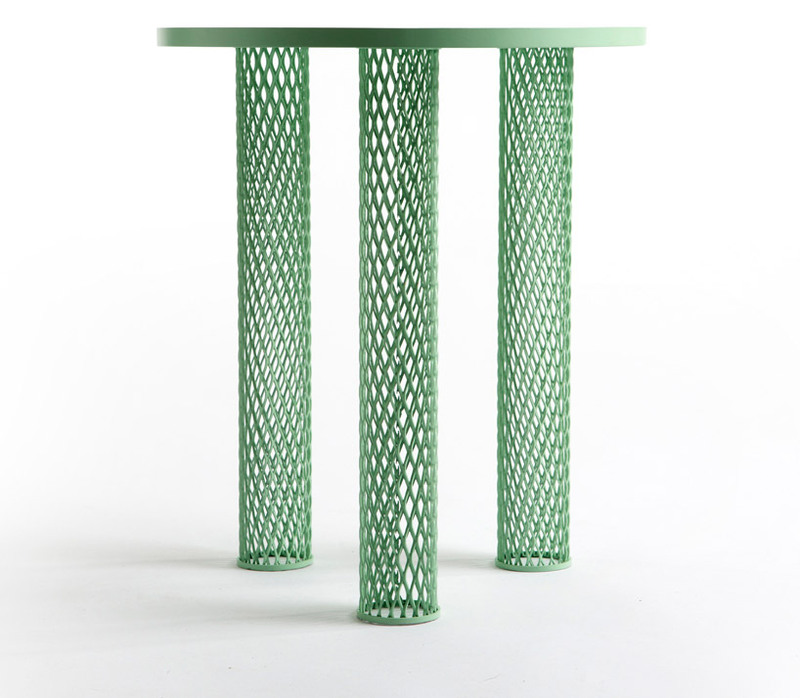 the material has been manipulated to form cylinders and discs, which have been finished with powder coated paint. 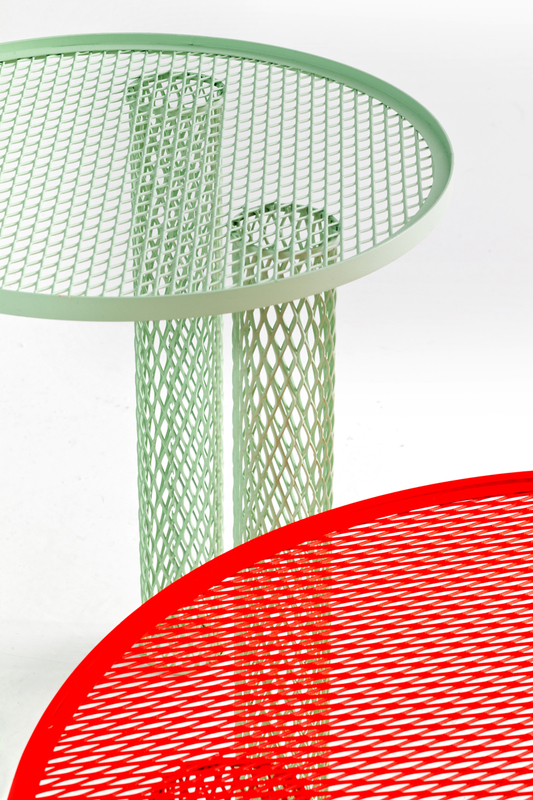 in reference to its mechanical origins, the tables have a large surface with expanded steel perforations that give a feeling of lightness while being small enough to not allow small objects to slip through.